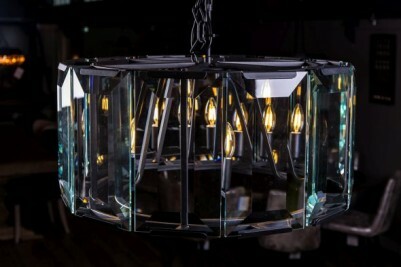 This round glass pendant light would look great in any contemporary interior. 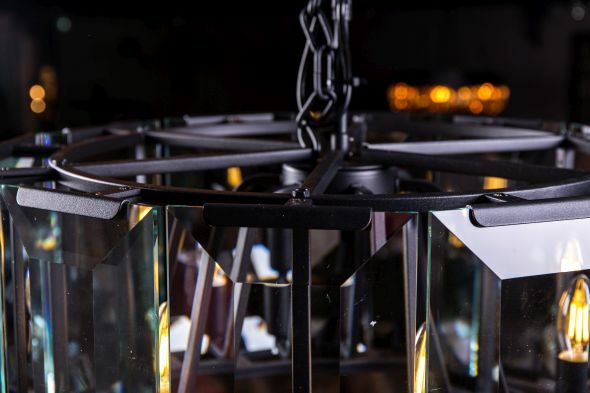 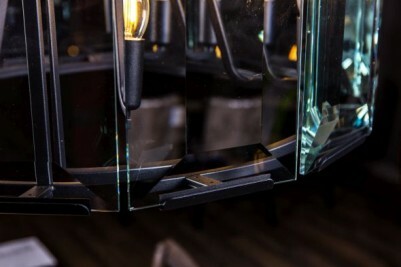 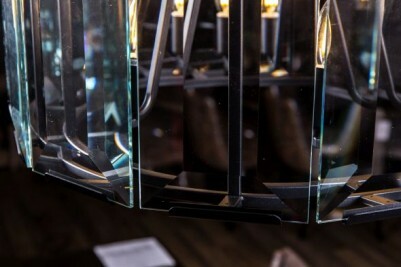 Bevelled glass panels surround six bulb fittings and help to reflect the light. 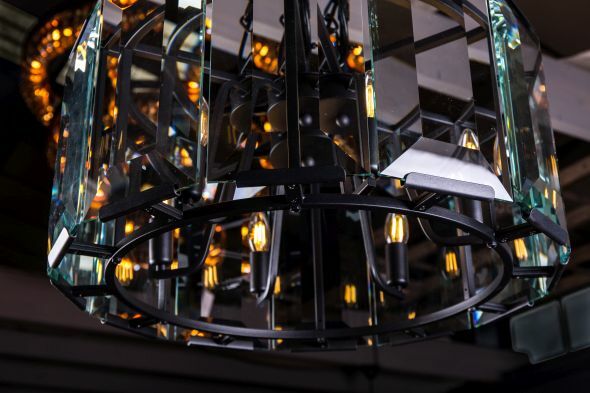 A single chain connects the fitting to a ceiling rose. 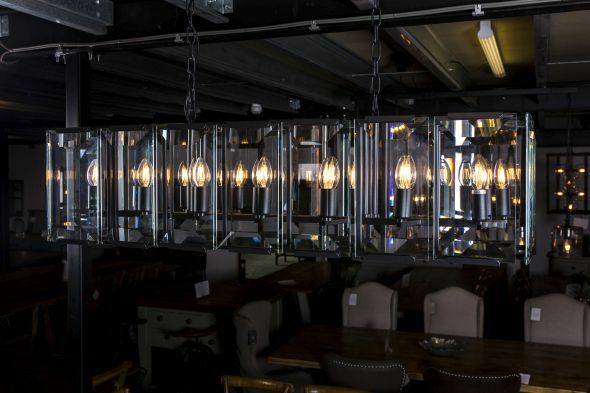 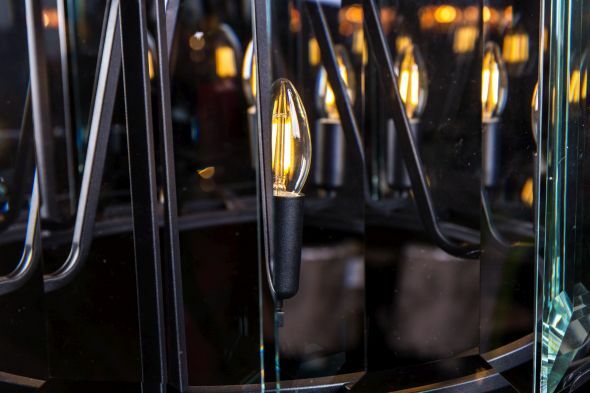 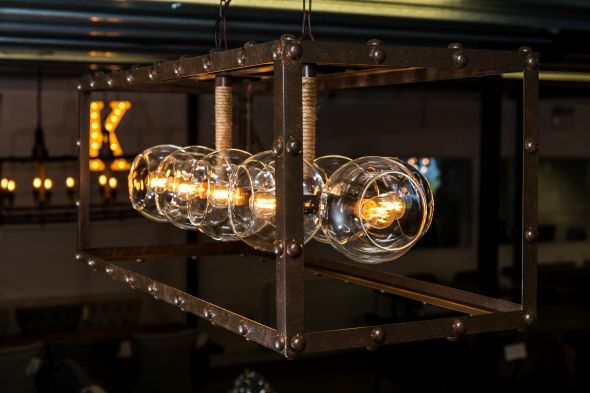 Ideally suited to modern spaces, the light would look great in a hallway, hotel lobby, or could equally provide contrast to an industrially styled restaurant or bar. 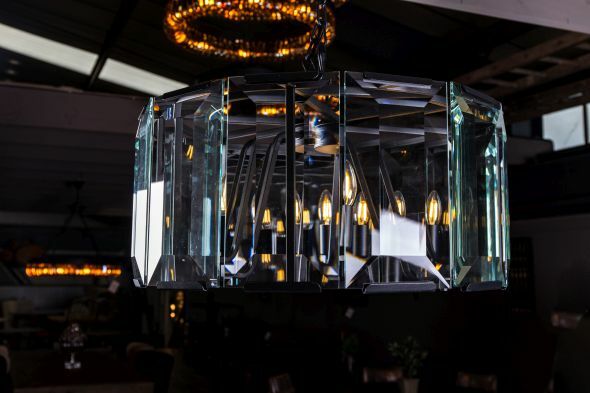 If you like this round glass pendant light, you’ll also love the coordinating bevelled glass box light. 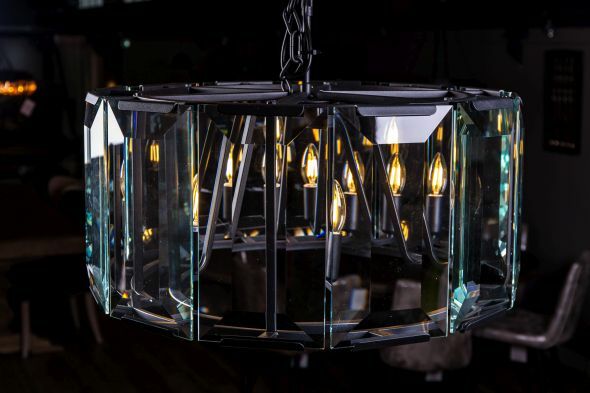 Browse our lighting section to see more fantastic items. 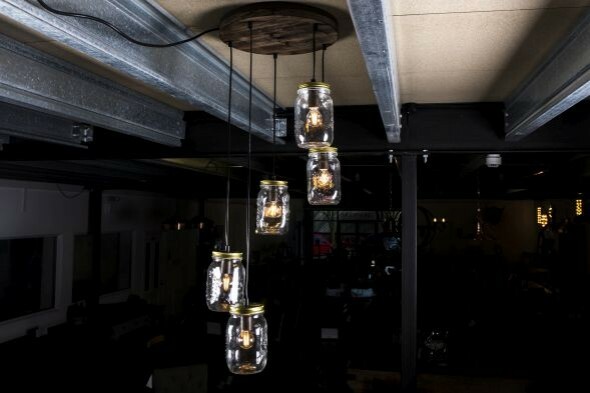 Please note that bulbs are not included and we recommend you have the light fitted by an electrician.